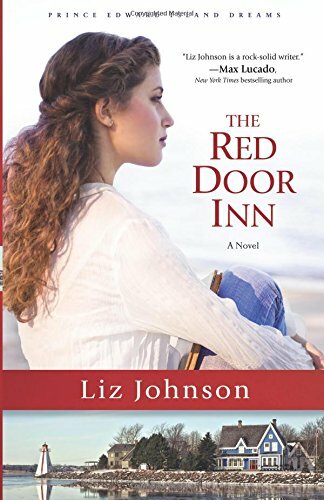 The Red Door Inn is such a heart-grabbing, blood-pumping and attention-riveting tale set on Prince Edward Island. A woman is running away from her father when she discovers he is using her tragedy for his own financial gain. The woman’s name is Marie Carrington. When down to her last few dollars, she meets an elderly gentleman at the ferry station named Jack who is building a B and B on the island. Jack asked his nephew Seth to come and work on renovating the house, especially when his life is in bits and pieces after his fiancée leaves him high and dry. Now Seth plans on protecting his heart as well as making sure no one takes advantage of Jack’s giving heart and nature. Seth views all women as though they are like his ex-fiancée, which really upsets Marie. The tension between Marie and Seth builds at times and other times there are tentative peace agreements. Marie knows her father has all the means to locate his only child, but Marie wants nothing to do with him because of his treatment of her after a horrible experience at a New Year’s party. I loved the reason mentioned in the story for the bed and breakfast so I cannot wait till you read that yourselves. The characters interactions were the attraction for me that kept me reading for a long time. I loved how Marie knew her colors and visited antique shops and auctions plus I enjoyed the various quilt designs in the book. I hope you all will grab a book and enjoy this one before book two comes out in the fall of 2016 titled, Prince Edward Island Dreams. Liz Johnson is one author I will be watching closely for future writings.